Just like water and the beach are impossible to set apart, summer and the Philippines make two completely inseparable concepts. Till this day, this thriving piece of paradise continues to prove that its islands (all 7,000+ of them!) are nothing short of breathtaking. More importantly, there’s always a place waiting to give you that well-earned pampering session this season, regardless of which one you go to. Without further delay, here are nine stunning resorts in the Philippines for your summer getaway! I don’t know about you, but when I think of a tropical vacation, the image of being on a secluded island in the middle of the ocean instantly comes to mind. Too good to be true? Not if you’ve heard about Club Paradise Palawan, which won Best Luxury Hotel in the Philippines at the 2018 TripZilla Excellence Awards! From its dreamy white sand beach and lush greenery to airy accommodations and mouth-watering seafood, it’s everything you could ever ask for your summer getaway! For the best view of the water, make sure to stay at their Sunrise Villa. It can hold a small family or group of friends. If you’re feeling the forest vibe, then book their Garden View Room! Don’t let your chance to spend summer on this ethereal island slip your fingers and book their Happy Summer promo now! From as low as ₱16,300+, you can stay in one of the resort’s top-rated accommodations inclusive of breakfast (plus one-time dinner) at Firefish Restaurant. You can enjoy convenient round-trip transfers from Busuanga Airport, too! Quick, you only have until 15 Apr 2019 to reserve! 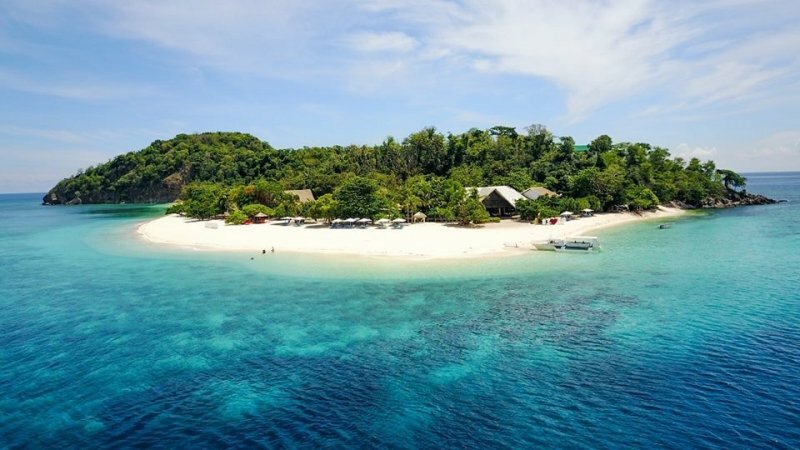 Learn more about Club Paradise Palawan on TripZillaSTAYS. People constantly talk about beaches, and not enough about mountains, when summer rolls in. Thankfully, Pico Sands Hotel in the province of Batangas is here to make us all reconsider. 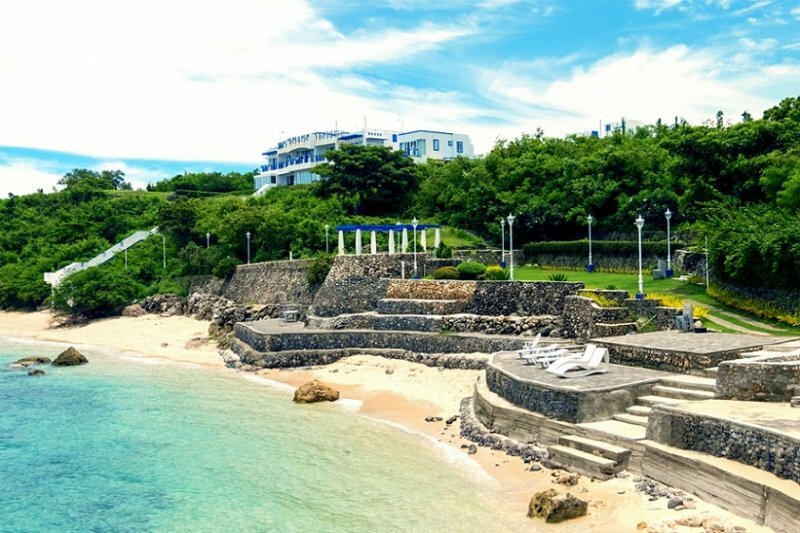 Nestled between enchanting, hiker-friendly hills and marine life-rich waters, this massive 154-room property makes for the ideal summer escapade that’s easily accessible from Manila. With plenty of accommodations to choose from, you can conveniently customise your stay to fit your preferences. The same is true for its facilities, especially when you sign up for a membership with the Pico de Loro Beach & Country Club. This lets you hop to as many of the restaurants in the property as you want. Plus, you can enjoy exclusive activities like pony riding and cruising! Get the best of the beach-mountain life at Pico Sands Hotel at its most affordable! Book directly with the hotel to avail the best available rates (from only ₱7,990 per night) comprising a complimentary breakfast, access to Pico’s main beach and other guest fees! The province of Bohol in Southern Philippines is known for quite a few things. But during this season, only one place stands out more than the rest — that’s Panglao. 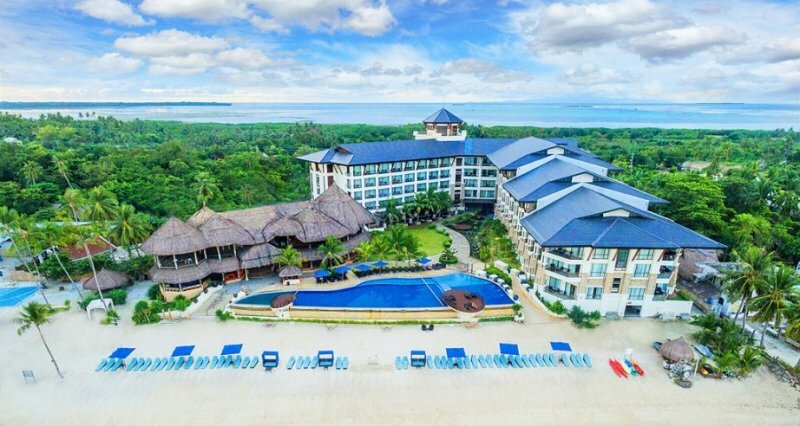 It’s home to the historic five-star resort, The Bellevue Resort Bohol (with its iconic beachfront accommodations with jacuzzi!). Not only is this Panglao resort a champion at providing top-class services, but it’s also one of the few places that have mastered the balance between keeping guests and the environment happy. (Fun fact: They bagged the coveted ASEAN Green Hotel Award for 2016-2018!). Pig out in themed dinners or lounge by the 250-metre beach. Either way, you’re partaking in green and community-friendly practises of the resort! What better way to spend summer, right? Get ready for the ultimate Summer-venture in the world-class island of Panglao. Spend two nights in a Deluxe Room at The Bellevue Resort Bohol, and enjoy a buffet breakfast for two at Lamian Restaurant, ₱1,500 tour rebate plus a surprise special gift — all for ₱18,999! 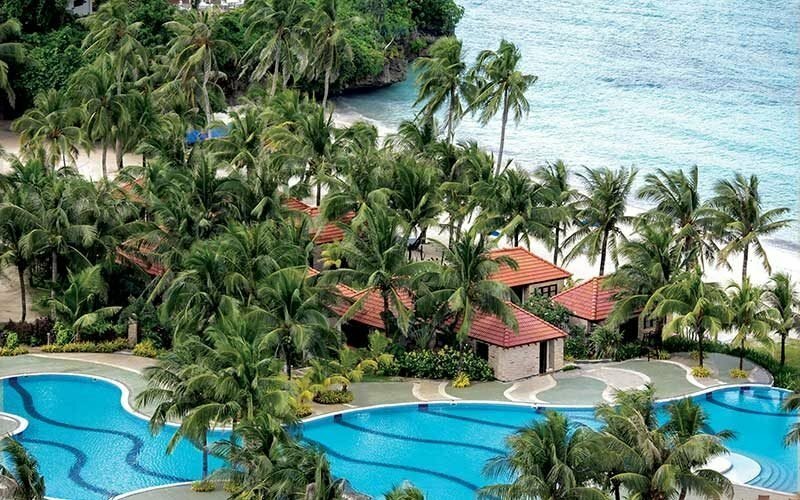 Also taking Panglao by storm is the award-winning Amorita Resort. 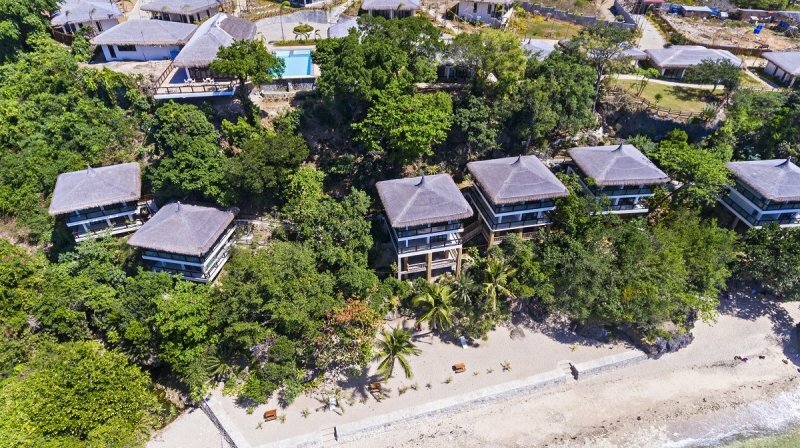 Just 10 minutes away from the new Bohol-Panglao International Airport, this luxurious property atop a limestone cliff is the perfect choice for divers and snorkellers. And you don’t even have to come in as an expert. That's because they have their own diving centre right within the resort! 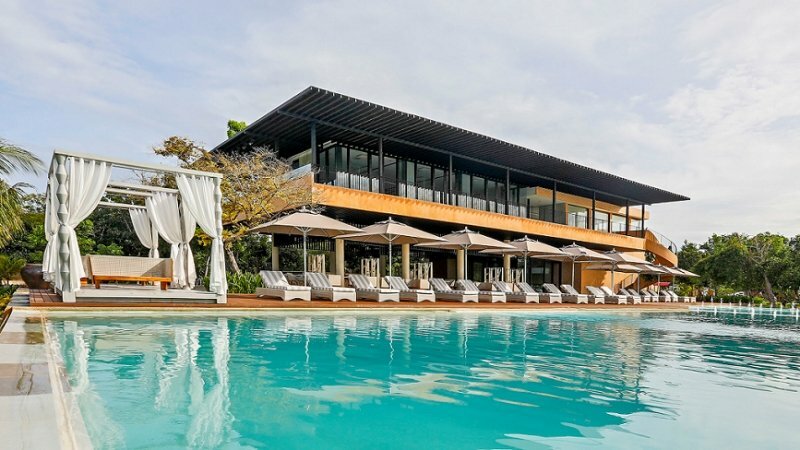 Amorita Resort has also made a name for its two Instagram-worthy infinity pools, a must-try if you’d rather be close to the resort’s facilities. One of them is the Saffron Restaurant, where you can taste their famous Chicken Binakol! With sustainable practises and child-friendly amenities, there’s no doubt that everyone in the family can find something to get busy with while in the resort. Stay cool while embracing summertime in Bohol with the resort’s Cooler Summer promo! Except for the Deluxe, Junior Suite and Two Bedroom Sea View Suite, you will get 20% off on your accommodations. You'll also be treated with a refreshing drink every day of your stay! This promo is valid until 30 Jun 2019. They say that there’s a “Crimson” way to spending a summer vacation, and we couldn’t agree more. A landmark of Cebu’s flourishing hospitality industry, Crimson Resort and Spa Mactan offers everything but mediocrity. That involves their facilities (we especially love their infinity pool with ocean views and the award-winning Aum Spa) and Cebuano-style services. Spacious native villas give the perfect balance of heritage, nature and a touch of modernity. And with enthralling resort activities just for you, like snorkelling, Zumba sessions and an open-pit grill, we wouldn’t be surprised if you find yourself extending your stay in Cebu for a couple more days! How long do we recommend staying in the resort? Make it at least three days! That way you can enjoy the perks of Crimson’s Summer Daze package (use promo code HELLOSUMMER). Ideal for two adults and two children, it covers a buffet breakfast at Saffron Cafe and 40% discount at Aum Spa. You can even stand a chance to win round-trip flights to Macau! 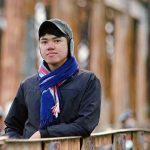 Is summer really more fun in the Philippines? Sure. But this Greece-inspired integrated resort in La Union (a province located north of the country) shows that it won’t hurt to embrace a bit of sultry Mediterranean-Europe for your holiday. Dubbed the Santorini of Asia, Thunderbird Resorts & Casinos Poro Point is the only resort with five-class amenities in this side of the Philippines. Aside from its homey villas and direct access to the beach, the resort boasts of its 4,000 sqm casino. It also features various facilities for sports, relaxation and of course, dining. Indeed, there’s always a chance to veer away from the typical summer activities, and you can find it here in La Union! Spend a one-of-a-kind summer getaway at the Santorini of Asia by booking their Summertastic Day Tour — worth only ₱2,000! This already covers access to the resort’s stunning swimming pool and ₱1,000 consumable of food and beverage at the Helios Pool Bar and Olives Restaurant. Learn more about Thunderbird Resorts & Casinos Poro Point on TripZillaSTAYS. From beaches and lakes to hot springs and hills — the town of Coron in Palawan truly has one of the most diverse landscapes you’ll ever see in a single destination. But, did you know it also has its own safari? In fact, it’s the very inspiration of a contemporary boutique resort called The Funny Lion. On top of the resort’s wildlife theme, there’s also a lush mangrove forest in the area to bring you closer to nature. For the best view, head to the resort’s rooftop. 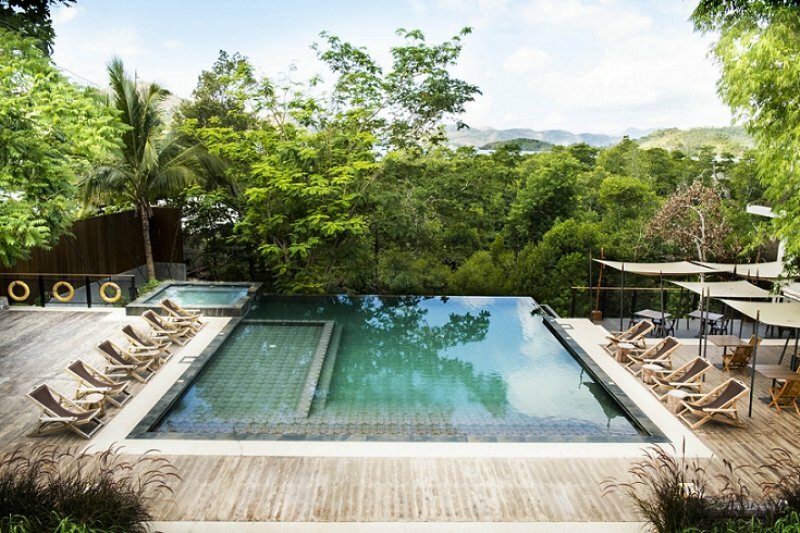 Here, you can also relax by the plunge pool after spending an entire day exploring Coron. Then, wrap up your day by having a refreshing outdoor dinner at Hunt Restaurant. Don’t forget to order their Off The Menu Seafood Platter! Anyone who's been to the province of Romblon can vouch for how underrated this place is. Not to mention, one of its more popular islands, Carabao, has already been dubbed as "the next Boracay". 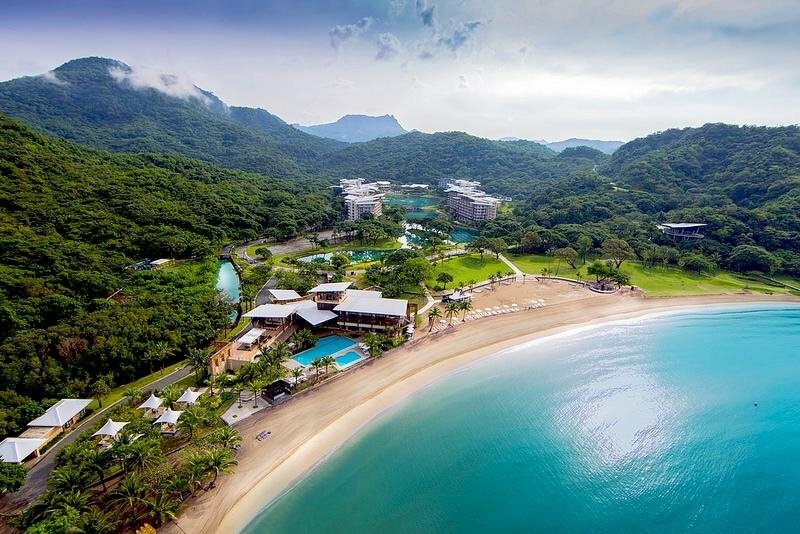 It's also now the home of the new Oceans Edge Resort, a luxury hilltop resort featuring a private cove and white sand beach (Fun fact: They just officially opened in April 2019!). The resort has a couple of dining outlets, an infinity edge pool and gift shops found in their Clubhouse. This is the exact same place to be if you have a particular penchant for sunset viewing (like me!). With Boracay back in the limelight, the pressure is on to keep the island as clean as it possibly can, while also maximising its potential as a must-visit summer destination. Tagged as the “first and only Boracay property to receive the ISO-IMS certification”, Fairways & Bluewater Boracay is all about just that. Ideal for families, business travellers and even golf enthusiasts, the resort offers over 700 accommodations equipped with Wi-Fi, minibar and cable television. As a top golfing destination, it doesn’t disappoint with its 6,524-yard facility. This gives guests a chance to have fun in an unconventional way, even with Boracay’s action-packed White Beach just a few minutes away from the property! You’re only a few clicks away from making your dream summer getaway happen. Don’t let this opportunity go to waste — book any of these stunning beach resorts in the Philippines now! Discover more accommodations for your next holiday in the Philippines by heading to TripZillaSTAYS!